We won’t charge you anything until we recover compensation for you. Were you or someone you love injured in an accident? Go With Experience. Go With Gerling. It’s not some clever slogan. It’s not some kind of marketing gimmick. It’s something far more important: It’s the way we approach the practice of law and focus on the needs of the people we serve. How do we do this? Through aggressive advocacy, high-quality legal representation and a commitment to results. 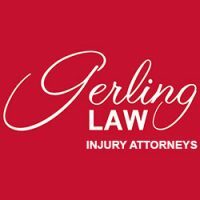 For over five decades, Gerling Law has pursued justice and fair compensation for people who have been injured by someone’s actions or neglect, along with people who can no longer support themselves because of an illness or injury. Every aspect of our approach is built upon a set of core values that guides our entire team. Those values include a commitment to the highest standards of ethics, integrity, and civility… and a promise that we will treat our clients with genuine respect and sincerity. Beyond our commitment to our clients, the professionals of Gerling Law recognize that we also have a responsibility to the communities we call home. We have locations in Evansville, Indianapolis, Louisville, and Owensboro. Call today at 888-437-5464 for a free consultation. We won’t charge you anything until we recover compensation for you.